of measles. 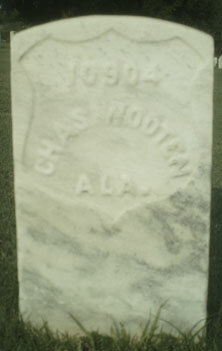 Originally buried on 25 May 1864 in Grave #250 at Field Hospital Burial Plot. Notation was dated 21 November 1888.